The dispenser control board is in charge of the functions of the dispenser system. If even one part of the dispenser is not functioning, it is likely that a component has failed. If that happens, you must test each component before the control board and if the entire system is not functioning, then it is likely that the control board is the culprit. The dispenser switches are responsible for sending voltage to the dispenser. If one of the dispenser switches is damaged, then the dispenser will malfunction, or it won’t work at all. To see whether a dispenser switch is malfunctioning, you must test each switch for continuity using a multimeter. If a dispenser switch does not have continuity, then you must replace it. The door switch is responsible for shutting off the ice and water dispenser when the refrigerator door opens. If the door switch malfunctions, then the dispenser will fail to turn on. To see whether the door switch is malfunctioning, test it for continuity using a multimeter. If the door switch does not have continuity when it is operating, then you must replace it. The main control board can sometimes fail to work properly. This is, however, uncommon. You should check all the dispenser components before replacing the control board. Consider replacing the main control board only if none of the dispenser components are malfunctioning. If your refrigerator ice and water dispenser is not working, maybe you have a problem with the dispenser control board, wich is the responsable of the dispenser system´s functions. Besides, it can be related to a damage in one of the dispenser switches, wich send the necessary energy for the dispenser to work. You can find out if the issue is because of this particular component by testing its continuity with a multimeter. If it doesn´t have continuity, you need to get some new dispenser switches. The same procedure must be followed if you suspect the problem is due to the door switch. It means you need the multimeter again, and if the element doesn´t have continuity, then you better replace it. Finally, a last cause can be presented: problems in the main control board. 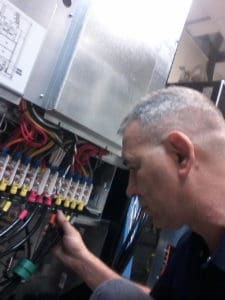 However, you need to know this is an uncommon problem, wich is the reason why you have to check first all the previously mentioned dispenser´ components, before you decide to replace the control board. You should only replace it if everything is fine with the rest of the components. This year my refrigerator broke, the refrigerator ice and water dispenser was not working; the technician told me it had a problem with the main control board so I had to pay a considerable amount of money to replace it. When I finally did I had a big disappointment because I thought that I had solved my problem, but when we tried to start it, it didn´t work. The dispenser components were fine. Now I don’t know what is wrong with my refrigerator so I would like someone to help me find out what is the problem. If you will help me in this I would be very grateful. I don’t know much about this topic, but I think the problem is that one of the parts of the dispenser system is not functioning. I need to know where I can find a good repairman who would not charge too much, also a place that I could go to buy refrigerator part which are not too expensive. This article has been very helpful I just which I had read it before I wouldn’t had spent so much money in a new main control board. Thank you for your help.